Being a blogger (especially a new blogger) can be confusing and scary. This blogging community has all you'll ever need in one place. Blogging support, social media tips & tricks, sharing threads... We have the only complete blogging community you'll find! Growing a Lifestyle Blog is no walk in the park. However, Pinterest is a great tool that many Lifestyle Bloggers use to direct traffic to their sites. Group Boards are that extra little push to get traffic flowing and followers directed your way! Hashtag Tribes are a new way to network, grow and make friends on Instagram. In this post, I share all of my tips and tricks to creating an Instagram Hashtag Tribe. 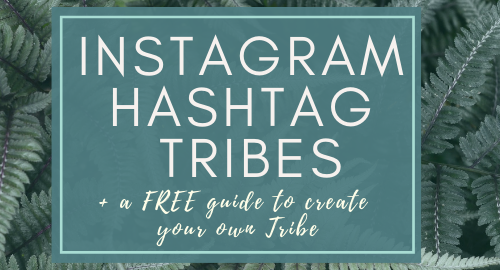 I included my FREE step-by-step downloadable PDF to guide you while creating your own Hashtag Tribe. I figured it was about time for an update on all the craziness. 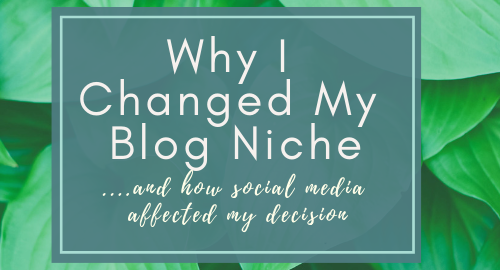 This is my update on the Hashtag Growth Group, creating the Pinterest Growth Group and share a little bit about why I deleted my Instagram. I started by blog with the intentions of becoming the worlds' best DIY & Silhouette Tutorial blog. After a few bad experiences on social media, I ended up changing my blog to be something I never thought I would do. 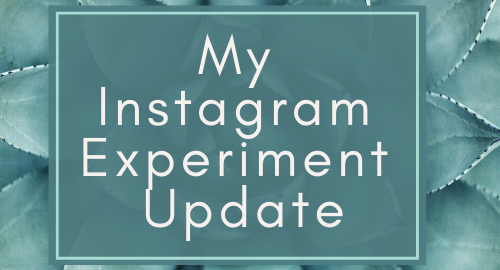 My Instagram Experiment is a totally different way to network and grow on Instagram. Using a series of hashtags, we are able to connect and grow relationships without the risk of being shaddow-banned. 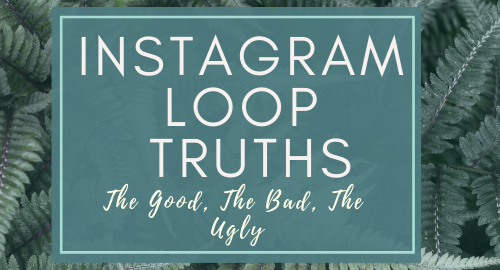 Instagram Loops are 'soooo in' right now. Everyone's looping and 'having the best time'.... or are they really just turning their account into a junky time-waster? 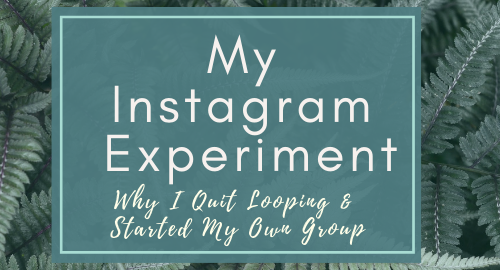 Read on to see my experience and how looping eventually led me to delete my Instagram!